A Beautiful Farm on Approx 55 Acres! 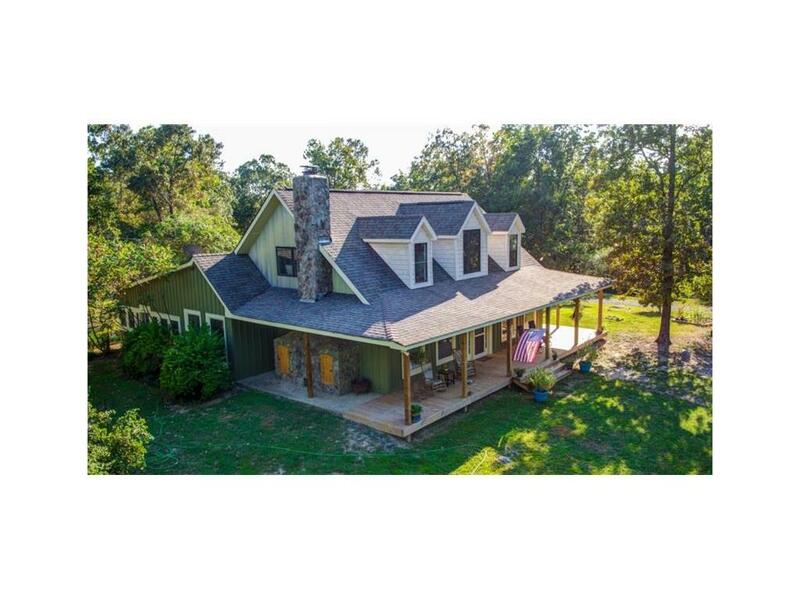 So many features to list... Large 3BR/2BA Home w/Wide Plank Pine Floors*Huge Rock Fireplace*Exposed Beam Ceilings*Master on Main*Gorgeous Reclaimed Wood for Stairway*Prof.Style Range & Walnut Cabinetry in Kitchen*Great Rm w/Sunroom*Rocking-Chair Front Porch***Huge 1st Class Horse Barn 64' x 112', w/14 Stalls*Overhead Lighting*Ceiling Fans in each Stall*2-Hot/Cold Wash Bays*Full Bath*Tack Rm*Feed Rm*400A Elect.Barn Service*Sep 400'Barn Well*Front Area-approx 30ac w/Lake*Rear Area w/House-approx 25ac & Add'tl 27x15 Barn and Much More!! Directions: Hwy 113 To Covered Bridge Rd, Tlo Old Ala Rd, Tlo Iron Hill Rd, Immediate Right On Sewell Rd, At Stop Sign Tro Old Ala Rd, 1.5 Miles To Tlo Sheila Ridge On Left (Directly Across From House #3142 Old Ala Rd), Follow Gravel Drive Back To Red Farm Gate, Veer Onto Left Drive To House. Keep Gate Closed.